On March 11th I will be getting my head shaved with the St Baldrick’s Foundation. We have all been touched by the ripple effect of cancer in our lives, whether you are or have been personally affected by the disease, or have a loved one who is or was. We all know how important cancer research is. I have three close friends who survived different childhood cancers, and know countless other friends and family members who have had cancer themselves or have been affected by it. If you are like me you probably just assumed that all cancer research funding was equally divided based on need. Unfortunately this is not true at all. Approximately 1 in 285 children will be diagnosed with cancer in the US before the age of 20, with the average age being 6 years old. However, only 4% of federal cancer funding is dedicated to pediatric cancer research. And while it is true that more adults are diagnosed with cancer every year (the average age of diagnosis being 67), this doesn’t mean that funding for children should be neglected. On the contrary, our children are the next generation, and we should all be working towards creating a better, and safer world for them. 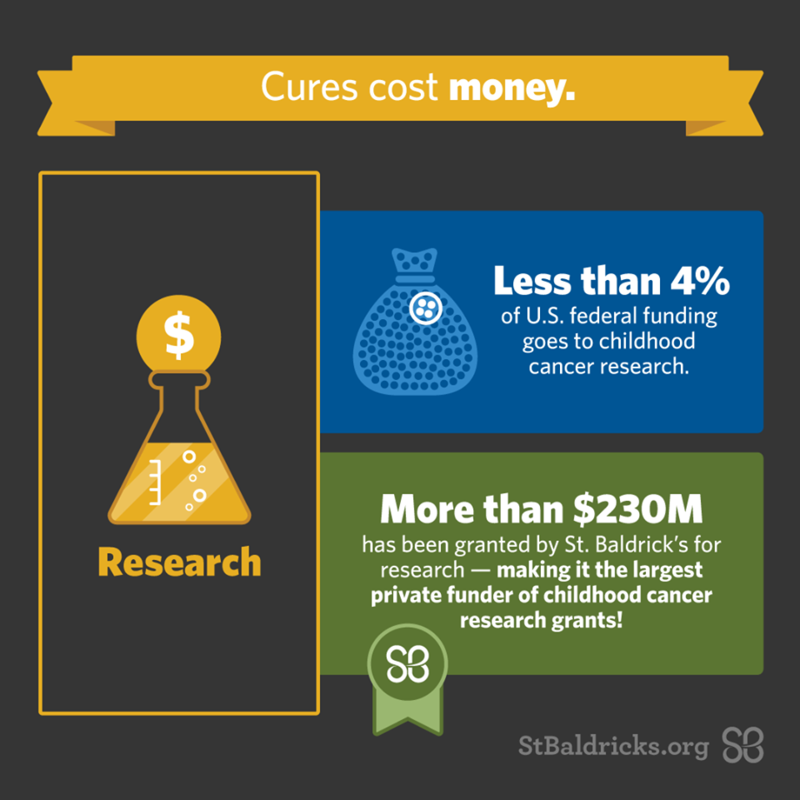 St Baldrick’s Foundation works towards closing this funding gap, and I hope to add my drop into the ocean by raising funds to help. It would make me so happy if everyone I know could chip in with a few dollars! Every little counts, and every little bit will go towards the funding of childhood cancer research. And I promise to share photos of my shaved head on March 11th, as well as an overview of the process and all the emotions I feel while doing it. My fundraising page (this is just a starting goal, I hope to raise much more!) is here, and you can also read much more information about the foundation and where your money will go on the website. And please feel free to share my fundraising link to anyone you think would be interested!